Harmful algal blooms occur when normally occurring cyanobacteria in the water multiply quickly to form visible colonies or blooms. These blooms sometimes produce potent cyanotoxins that pose serious health risks to humans and animals. 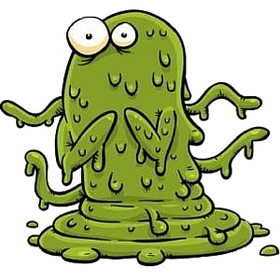 Although most algal blooms are not toxic, some types of cyanobacteria produce nerve or liver toxins. Toxicity is hard to predict in part because a single species of algae can have both toxic and non-toxic strains, and a bloom that tests nontoxic one day can be toxic the next. Current satellite imagery of Utah Lake indicates that the 2018 harmful algal bloom (HAB) has expanded lake-wide. Based on this imagery and monitoring by the Utah Division of Water Quality, the Utah County Health Department has issued a Warning Advisory for all of Utah Lake. What does this mean for Salt Lake City and the rest of Salt Lake County? Because the Jordan River flows from Utah Lake, the Salt Lake City Department of Public Utilities continues to monitor the River at Turner Dam and in the East Jordan Canal and the Jordan & Salt Lake Canal. Results from samples collected on Friday, August 3,, 2018 were “non-detect” or significantly below the human-based health threshold as established by the Utah Department of Health and Utah Department of Environmental Quality. These locations were again sampled on Friday, August 10. We sampled these locations today, Friday August 10, 2018. Test strip analysis for the samples were all Non-Detect (ND) for cyanotoxins. The samples will also be analyzed at the Utah State Health Lab. Results should be available Monday, August 13. 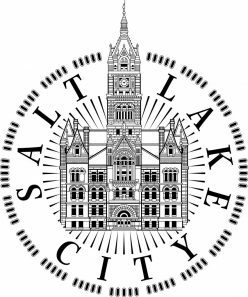 In addition to the monitoring Salt Lake City Public Utilities performs, we will continue to coordinate and collaborate with the Salt Lake County Health Department (SLCo Health) and Utah Division of Water Quality (DWQ). Currently, SLCo Health monitors the Jordan River at the Narrows, Blackridge Reservoir, and Wheeler Farm every Tuesday. The Utah DWQ monitors Utah Lake and we are updated with their data and assessment. Also, we continuously watch for updates and changes of results from DWQ water quality data buoys on Utah Lake. As we continue to monitor the situation, we will coordinate with SLCo Health and assess increased sampling frequency. We have on-hand cyanotoxin sampling test strips, which provide results typically within one to two hours, and two local analytical labs (Utah Health Lab and Utah Department of Agriculture), which can provide results within one to two days. As for Salt Lake County, there are currently no HAB advisories posted anywhere in the county. The Utah Lake bloom may impact Salt Lake County in coming days or weeks; Salt Lake City Public Utilities and Salt Lake County Health Department are regularly monitoring multiple points in the County. Even with no algae present, you should never drink untreated surface water and should avoid getting it in your mouth. It should be noted that avian botulism, which is not related to HABs, is a disease that impacts birds, often fatal. If you have questions or concerns related to avian botulism please contact the USFS or DNR.